In this paper, a historical briefing of face recognition is presented. Some psychological aspects of the subject and models considered for face perception are also presented. A model of automated face recognition, based on algorithm designated eigenfaces is considered and presented in details. 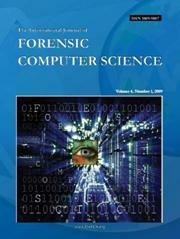 Applications of the face recognition algorithm for computer forensics are presented, especially for recognizing people in crime scenes. With the purpose of recognizing people with half-occluded faces, concealed with masks or other devices found normally in crime scenes, the concepts of eigenfaces are extended to engage new algorithms called eigeneyes, eigenmouth and eigennose. Face recognition, image processing, and eigenfaces.